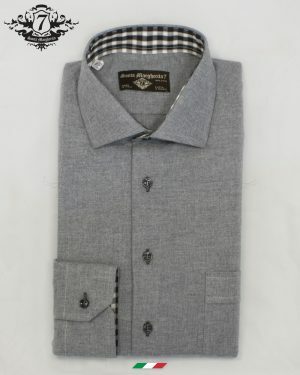 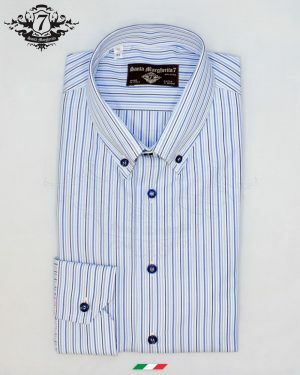 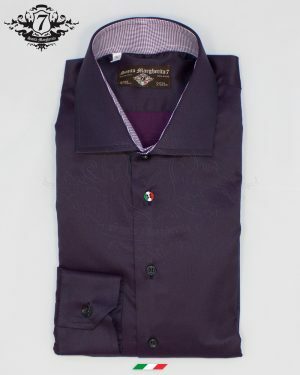 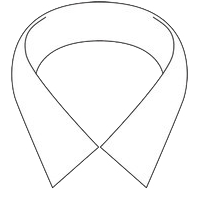 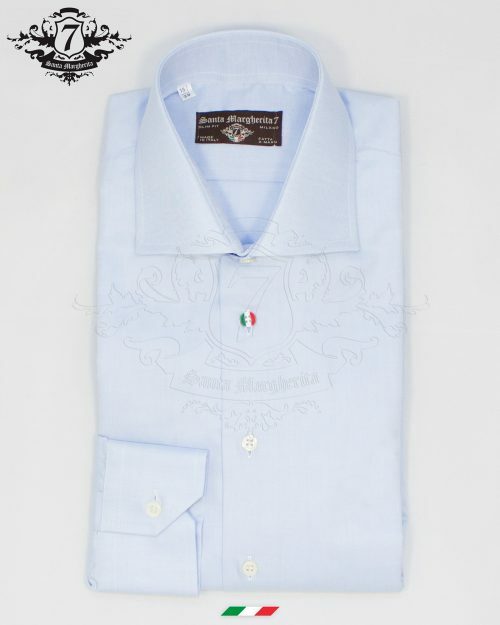 Man’s shirt Agostino. 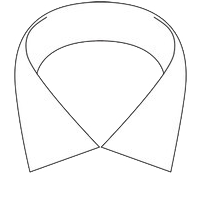 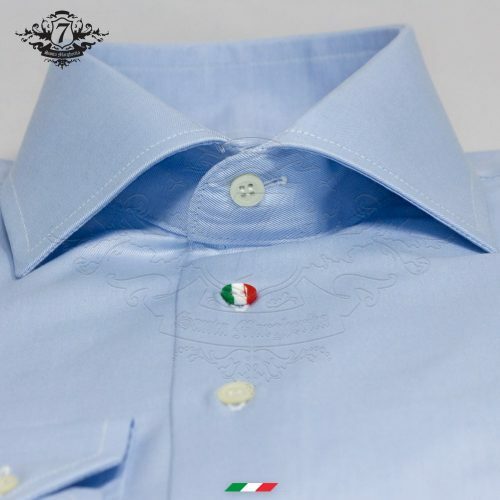 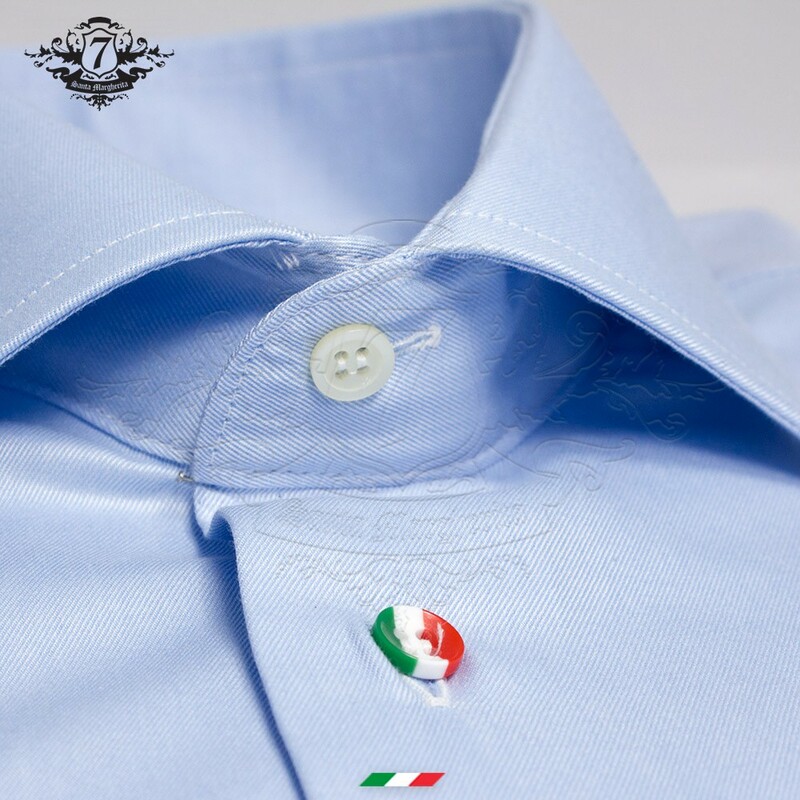 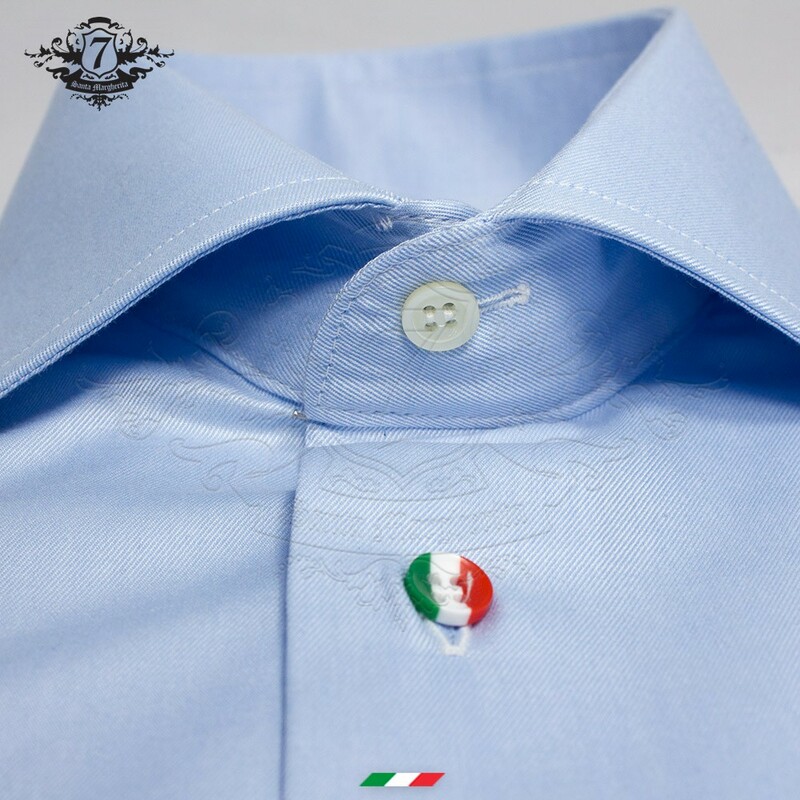 Light blue tailored shirt, characterized by French collar, with second Italian button and slim fit. 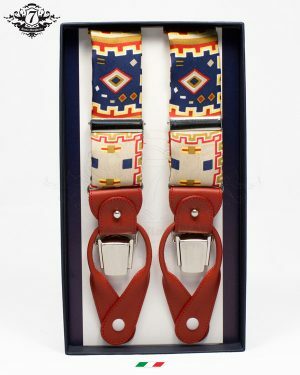 Made of 100% precious and breathable cotton with twill processing. A super classic from the Santa Margherita 7 collection, which can not possibly be missing in a gentleman’s closet. 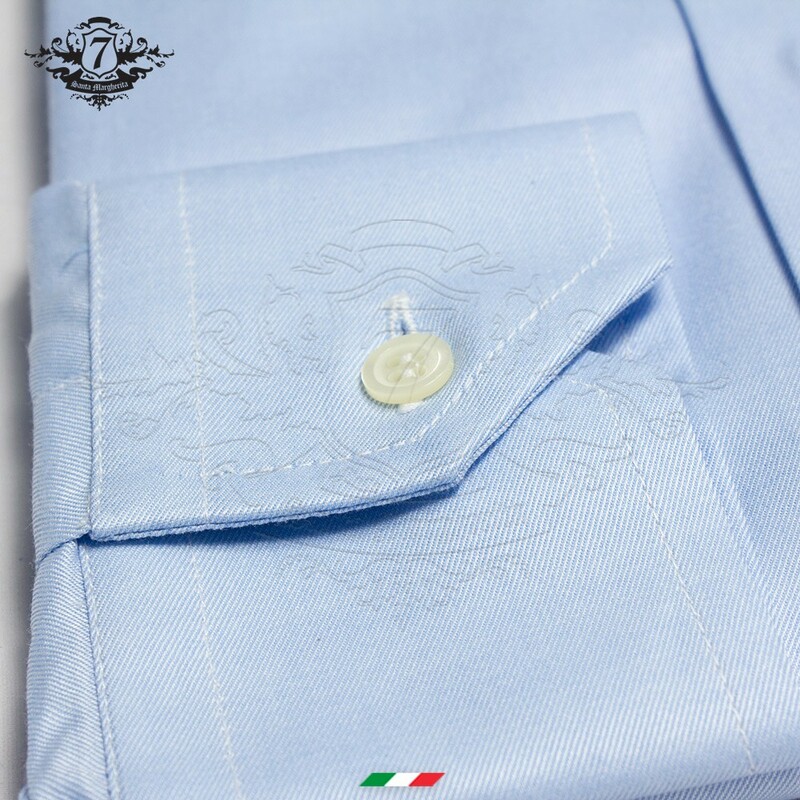 A true sartorial jolly, the fine twill workmanship makes the fine Agostino men’s shirt suitable to be worn all year round. 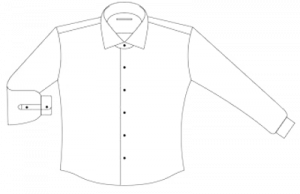 With its bright, iridescent and brilliant tone, the extreme versatility of this shirt makes it suitable to be worn on semiformal occasions, where elegance can not be lacking but also the resistance of the shirt to pleats and wear plays an important role.